Speedway belongs to the retail industry. A subsidiary of Marathon Petroleum Corporation, the company is composed of a chain of convenience stores. Some select stores offer the Speedy Café, where customers can buy specialty foods and beverages through a touchscreen computer. The company started out as a gasoline chain in Michigan in 1959. At the time it was known for its name Speedway 79. It was eventually purchased by Marathon Petroleum. In 2014, the company committed itself to obtaining and adding Compressed Natural Gas and E85 Ethanol. Not all gasoline stations are willing to purchase and provide renewable and alternative fuels; Speedway’s decision to do so set it apart in the competition and drew in customers. The company likewise attracts many employees because of its competitive salaries and benefits. It offers vision, dental, and medical insurance coverage to full-time employees. These plans begin immediately upon their enrollment. It is interesting to note that most of the company’s seasoned and long-term employees actually started in Speedway. These employees attest to how the company values teamwork and meaningful interaction with clients. How old do you have to be to work at Speedway? You must be at least 18 years old to apply for a position in the company. The stores operate 24/7, and employees will have to render regular or shifting hours at work. Jobs at Speedway range from entry level to managerial positions. The top 10 jobs are listed here to serve as your guide. Each job has a short description and list of qualifications. The Benefits Processor understands the benefits plans of the company and implements these in compliance with tax and labor laws. He is in charge of receiving and handling inquiries and complaints regarding benefits. At times, he partakes in regular correspondence with the management, vendors, and other stakeholders of the company. The CSR provides outstanding service to clients while multitasking. Part of his job is to work on the sales floor and operate the cash register. He also helps in maintaining the cleanliness and safety of the store, whenever necessary. More important, he listens attentively to guests and accommodates their requests. The primary responsibility of the SQL Administrator is to create and support a strategic program for the company. Aside from reviewing project requirements, the administrator constructs, documents, and presents design solutions. He also needs to test these solutions before asking for its full implementation in the company. The task of the Alarm Monitoring Processor is to work on alarm signals, program alarm panels, and maintain store data for monitoring the alarm system. The candidate must be detail-oriented and highly organized. Excellent communication skills and knowledge of Division Emergence Reporting Procedure are required. The specialist foodservice personnel will see to it that all food items are prepared within the qualities set by the company. All food served must pass presentation and food safety standards. He also greets customers and helps them with their purchases. He also actively promotes the company’s food products. The petroleum transport driver ensures that all stores have available fuel. They must also be proficient in communicating, especially because their job requires that they talk to vendors and Speedway representatives. The qualified candidate must have a valid Class A CDL with HAZMAT and Tank endorsements, as well as a year of driving experience. The trainee should already possess all the qualities of a leader: responsible, hardworking, passionate, and motivated. He must be able to work in a fast-paced environment and train employees in various store locations. Trainees will be part of an intensive 18-month program. Upon completion of the training, the DM trainee should be willing to relocate to the assigned area. The Café Manager supervises the Speedy Café and assists customers with their food and beverages. He helps man the cash register and delivers and/or packs the customer’s orders. Due to the physical demands of the job, the right candidate must be fit and able to stand for long periods, bend, or reach high places. Every Store Manager needs the help from the Assistant Manager. The latter will help supervise the daily operations of the store. The qualified candidate should possess strong leadership skills, as he will motivate and train interns and new hires. They instill in the team company policies and values. The HR intern’s job is to work and be trained as staff. Whenever needed, the intern performs assigned clerical jobs related to the nature of her job. As intern, he coordinates the recruitment of CSR, Shift Leaders, and Food Stewards. In the entire process, the intern should learn effective communication skills. He must also study applications and make logical hiring decisions. 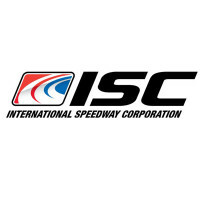 You first need to sign to the Speedway LLC website before you could proceed to the application. Enter your username and password to create your applicant profile. There’s no printable application form, as this is already covered in the online registration. You will also be asked to upload or email your resume to the HR department. You could opt for an open schedule for your preferred working time because the company operates 24/7. You may indicate your availability in your application form and during the interview. It would help to prepare a simple resume. This could consist of only two pages, yet be packed with relevant information about you. Include your skills, strengths, and work history. Speedway reviews the applications as soon as they are submitted. Within weeks, eligible candidates will be phoned and scheduled for the job interview. Applicants are encouraged to follow up on their status if they don’t hear from the company for a week. The company believes in prioritizing its customers. Managers train employees to always meet the fueling and convenience needs of their clients. They must understand these needs and cater to them the quickest way possible. This working culture is beloved by many applicants. In fact, there will be another hiring event in Ohio. On March 28, Speedway is holding interviews for Café Manager, Assistant Manager, and Café Food Service Specialist positions. Specific locations are in 724 Pleasant Valley Drive, Springboro, and 2700 E. Kemper Road, Sharonville. Speedway also prides in its capacity to be up-to-date – customers can now learn of new store openings and other events from the Speedy Rewards mobile app. The company is also committed to making a positive change in the community. It has partnered with United Way and Children’s Miracle Network to support families and kids in dire need of educational and financial assistance. This is Speedway’s method of giving back its blessings and continuous growth. 1 How old do you have to be to work at Speedway?